Despite the egg-cholesterol controversy that recently dominated newsfeeds, most of the experts we've spoken with agree: Eggs are an incredibly potent source of nutrients and can still be part of a healthy, balanced breakfast. In addition to being packed with protein, which can keep blood sugar levels stable throughout the day, egg yolks are truly a superfood and contain a variety of nutrients hard to find elsewhere. To name a few: choline, which is critical for cognitive function and liver health; vitamin K2, an underappreciated vitamin that's actually protective against heart disease by preventing arterial calcification; and biotin, a nutrient well known for supporting hair, nail, and skin health. 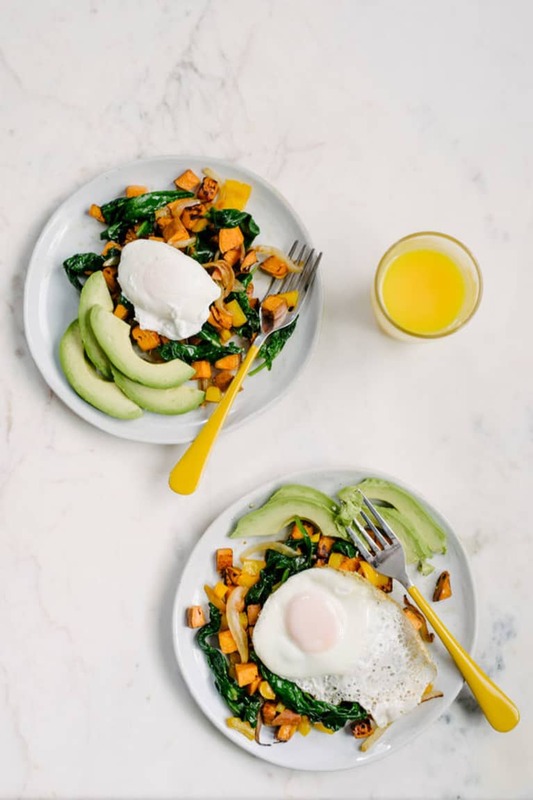 "Not only are eggs my favorite nutrient-dense package of B vitamins, including mood- and memory-enhancing choline, but they are a perfect vehicle to ramp up veggie intake for your morning meal," says Ali Miller, R.D., integrative dietitian and author of The Anti-Anxiety Diet. "I love to make various forms of scrambles and omelets sautéing onions, garlic, broccoli, and greens, then using eggs whisked with black pepper, a pinch of salt, and fresh herbs as a way to bind all that goodness together. Also, if I have leftover roasted veggies from the night before, adding them to my eggs is a great way to boost nutrients and reincorporate a cooked food while mixing up the flavors." "For a meal-prep approach, making muffin-tin egg cups is a great way to have something quick and delicious on the go that provides a grounding energy and staves off sugar cravings," says Miller. Check out her Caramelized Onion Turkey Kale Egg Muffins featuring fiber- and antioxidant-packed kale and ground turkey for even more protein. 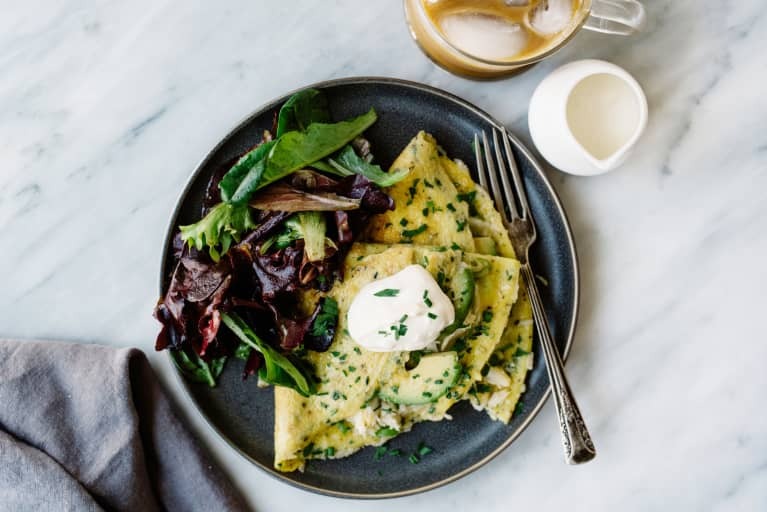 "Eggs are a very budget-friendly source of high-quality protein, riboflavin, and selenium," says Jessica Beacom, RDN, co-founder of The Real-Food Dietitians. 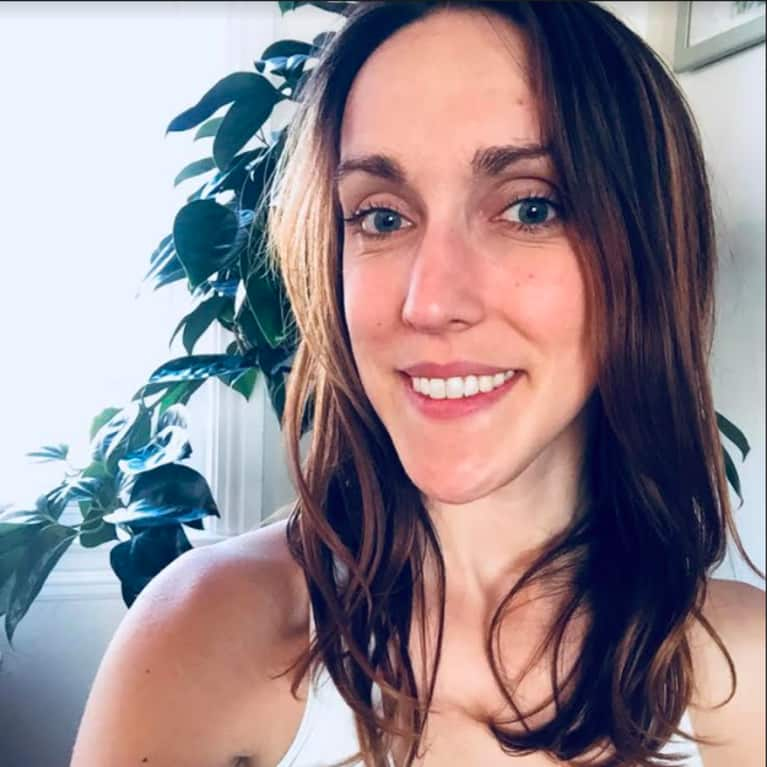 Beacom and her co-founder Stacie Hassing, RDN, L.D., love that eggs can be used in so many ways—from salads to frittatas to baked goods and more. One of their favorite meal-prep-friendly recipes using eggs is this flavorful Sweet Potato Turkey Sausage Egg Bake that's packed with protein and veggies like sweet potato, onion, bell pepper, spinach, and avocado to keep blood sugar stable and cravings at bay all morning long. "One of my favorite on-the-go options is a stepped-up version of the egg and spinach pot that Pret A Manger does. All you need is two fried or hard-boiled eggs, a little baby spinach, and half an avocado," says Jess Cording, R.D., registered dietitian and mbg Collective member, adding that leafy greens are also a good source of mood-stabilizing folate. For something a bit more substantial, add diced sweet potato and onion to create a base that's more of a hash. "The combo of protein, fat, and fiber will keep you satisfied and energized for hours. When I was teaching a 10 a.m. to 2 p.m. college course, this breakfast helped me power through." "I love how whisking an egg into oatmeal during cooking helps make it rich and fluffy—and way more filling since you’re adding protein and fat," says Cording. When she worked at a hospital, Cording ate a version of this Egg-Boosted Oatmeal breakfast almost every day at her desk: rolled oats cooked with omega-3-rich chia seeds or ground flax, to which she added one egg (per serving of oats) in the last few minutes of cooking. "What I like is that you can go sweet or savory with this, depending on the spices or add-ins you use," she says. "I would make a big pot with three or four servings to get me through a week and separate them into individual glass containers." For a unique way to reap the benefits of eggs for breakfast when you're really more of a sweet person, these Grain-Free Banana Pancakes from registered dietitian Laura Schoenfeld, R.D., are your new best friend. "These are the simplest way to enjoy nutrient-dense pancakes," says Schoenfeld. "With eggs and bananas as their primary ingredients, you get a variety of nutrients, as well as a balanced intake of protein, carbs, and fat. The best part is they take just a few minutes to whip up and are incredibly tasty." This Macro Balanced Breakfast Bowl has it all—eggs, greens, zucchini, smoked salmon, avocado, and even kimchi. "It's great for active women who need to ensure they're eating enough to fuel their workouts," says Schoenfeld. "The term 'macro balanced' means that you're getting a good amount of protein, carbs, and fat to meet your nutritional needs. I find that many women do best with a larger, more substantial breakfast that'll keep their blood sugar stable throughout the day. This recipe can be used as is or inspire your own macro-balanced bowl creation." "Frittatas are a delicious way to boost your vegetable intake, especially at breakfast. You can experiment with different veggie combinations depending on seasonality or simply what needs rescuing from your fridge," says Schoenfeld, who is partial to this Roasted Vegetable & Quinoa Frittata recipe (packed with butternut squash, bell pepper, zucchini, spinach, quinoa, and more) for its combination of complex carbs, protein, and healthy fats. "You can also bump up the protein content by adding leftover proteins like steak or salmon."